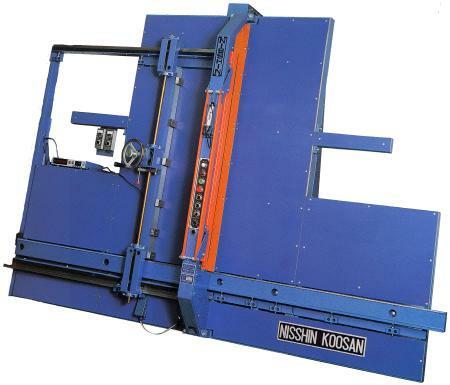 NHP Series Panel Saw | NISSHIN-KOOSAN.Co.,Ltd. 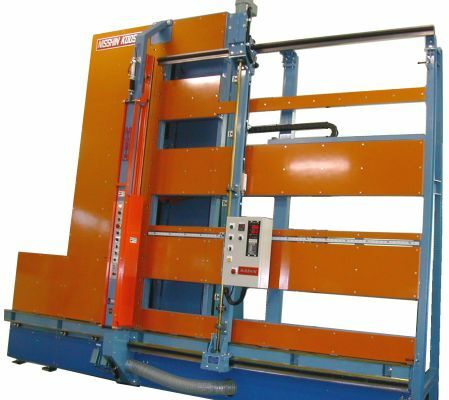 NHP series panel saw is a high precision cut saw supported by 30 years of operation to complete the high level of safety and handling. These five themes are integrated into the NHP series perpendicular cut saw with our unique capability of development and technology. 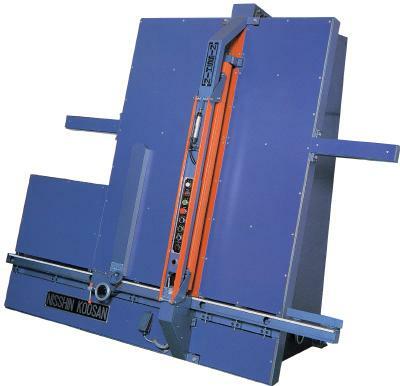 The rigid structure of NHP series panel saw is guaranteed for high precision cut. Several optional accessories are available on 1. main shaft, 2. delay-start speed, 3. cutting thickness, 4. movable gauge, and 5. saw table dimension. The machine provides a stiff structural frame to keep precision machining. The sliding surface of the saw table is made of cast iron dovetail groove integrated structure for vibration absorption and burr prevention on cut face. The box type horizontal rail provides sufficient stiffness against heavy member. The saw blade unit is balanced with weight via chain. Sliding surface maintains steady running speed with automatic oil feed. saw position is adjustable with a handle for each member producing no burr. Delay-start speed is adjustable with a handle to accord with each member. 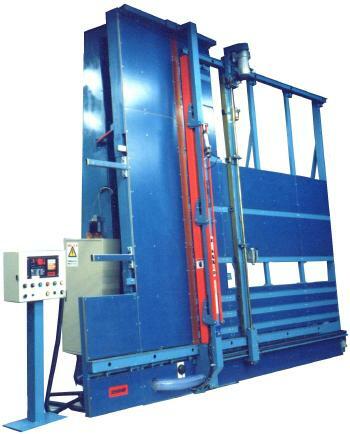 Quality cut face is obtainable on various members by adjusting the transfer speed and blade. Adjustable Bakelite is used on the dead plate to prevent the friction wear.